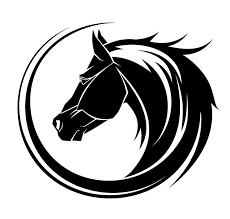 Welcome to Sara Storch Equestrian! If you value hard work and consistency in your training, then you have come to the right place! Here at SS Equestrian, we work towards quick progress by going back to the basics and developing a solid foundation before moving up the levels. Our focus is always on building the confidence of both horse and rider in order to encourage correct and happy equine and human athletes. We believe in basics first and eliminating shortcuts. SS Equestrian students learn to ride in balance and harmony with their horses before advancing to new levels, and correctness is emphasized for horse and rider at every stage of training. We believe in giving our horses variety in their training to keep them happy and engaged in their jobs; therefore, horses in our training program hack out, work over cavalleti, and HAVE FUN!! !